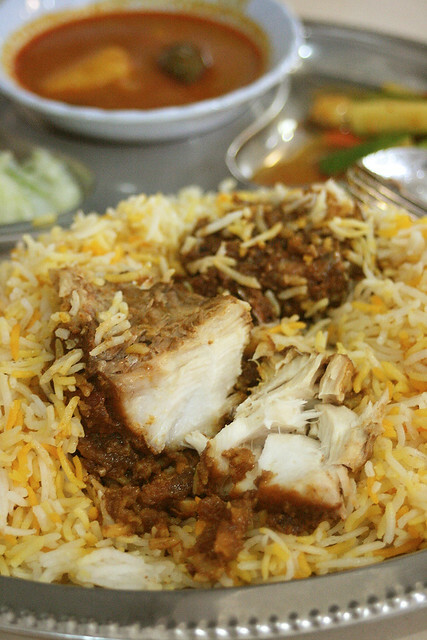 Ali Nachia Briyani Dam at the Tanjong Pagar Railway Station has many fans. I'm sure some of you are wondering where they are going to move to, after being told to vacate the premises by May 2011, to make way for the railway station relocation and conservation of building. When we visited them at the end of February, they still had no idea themselves, because they had not received official notification to move. But thanks to their Facebook page, we now have the new address: Blk 5 Tanjong Pagar Plaza #02-04! They will be there sometime in early May. The mutton briyani (S$6) comes in a set with raita, achar and a rasam-like curry gravy. The sides do well to complement the basmati rice and cut through the richly spicy meat. I like that the rice is not greasy, and each grain is separately fluffy. The mutton was tender enough, but the spice paste seemed to lack definition. Maybe it just didn't match what I had imagined it would be. But it was still a reasonably satisfying meal. 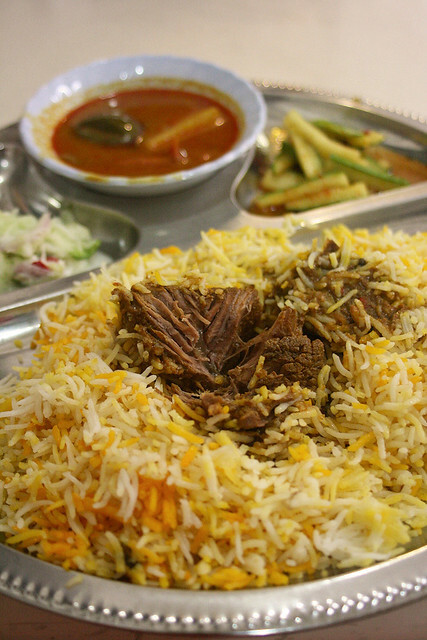 I just have to continue to look for my briyani epiphany...ah, wherefore art thou? We tried the Fish Briyani (S$6) as well, which is only available Fridays. They are certainly very generous with the fish chunks, but we still prefer the mutton version. I like the spices used in briyani, but many times the end up being really greasy. I'm not a big fan of mutton, but I would love to try their fish briyani. Would you recommend their fish briyani? The spice paste here is a little on the dry side, not so greasy. If you don't fancy mutton, you can try their chicken briyani. Somehow I did not feel the fish went well with the overpowering spices.